Every package uses reliable, high-performance Siemens core engines – and with power outputs ranging from 3 MW to 15 MW, our products can be scaled to match our customers’ specific energy needs. Our gas turbine technology delivers a number of essential advantages. It offers a fast power response, performs well at peak demand and copes capably with flexible demand. These features make our packages ideal in standby and grid stability applications. What’s more, gas turbines work flexibly with a range of gas sources – so you can use natural, landfill, flare and other process gases that might otherwise be wasted. 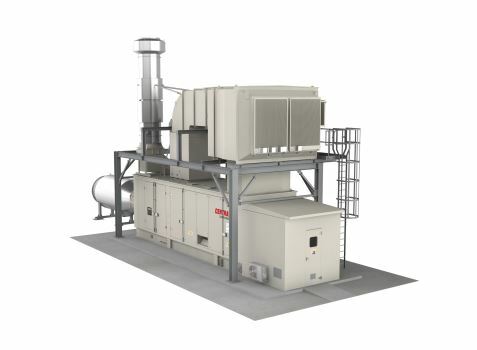 Whether you need power for district heating, oil or gas, a hospital or an energy-intensive industry, Centrax can engineer a generator package tailored to your specifications. Our standards-compliant range of energy products, combined with our global reach and exceptional comprehensive customer care, make Centrax a smart choice for power generation.